International Speedway Corp (ISCA) reported a disappointing quarter and outlook on 10/5/18, resulting in a 17% drop in the stock. Did the company kitchen sink the guide? Or is this just the first shoe to drop? We used the Amenity Viewer to analyze ISCA's recent earnings calls and look for insights related to those key questions. Please note: This in no way represents investment advice. All transcript text is provided by S&P Global Market Intelligence. The drop in Q2 leads us to first go back to that call to analyze what was so negative, and look for any clues to this upcoming miss. "The approximate 10% decrease is primarily related to lower attendance and admissions for certain NASCAR and other events held during the quarter, some of which were impacted by inclement weather"
"Weather was a big impact in the quarter." "So weather was an important part. But all in all, the attendance was a little softer than expected. We still have an issue with start power, and hopefully, this stable of young drivers coming along will start to win and build their brands, and - but I would also say that there is - I talked about our sales academy on the call, and we have retooled, elevated our sales culture." "Let's face it though, when Sprint was in this sport, they were writing a check somewhere north of $75 million a year. And we, the industry, don't know if that is viable going forward for long-term deals." “We remain optimistic out consumer-focused marketing and sales initiatives are working to bring ticket sales in line to deliver stronger admission and admission-related results." 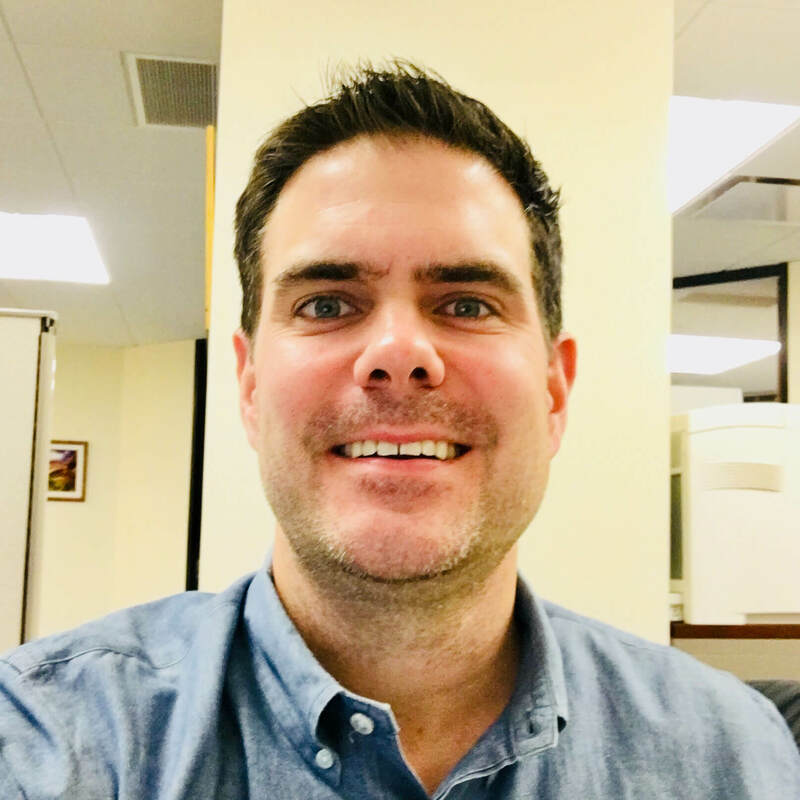 "We're not out of it yet, but we think these initiatives are going to bear fruit, and so we're - we remain optimistic in these initiatives, and we're going to stick to them." What then materialized in 3Q? "Our 2018 guidance includes what we've incurred year-to-date through the third quarter and the outlook for the fourth quarter where we've experienced some headwinds and declines in admissions. We've worked prudently on the cost side of the business to manage margins. There is some compression in the margin guidance. But our fourth quarter's going to be a little bit mixed." "Attendance for the comparable NASCAR events was down approximately 14% on average, and the average ticket price decreased to $83.88, or approximately 2.5%"
"Weather-related impacts were compounded by current headwinds in the ticket sales facing the sport." To the extent that less negative is sometimes the first positive, this analysis suggests ISCA may warrant a closer look. 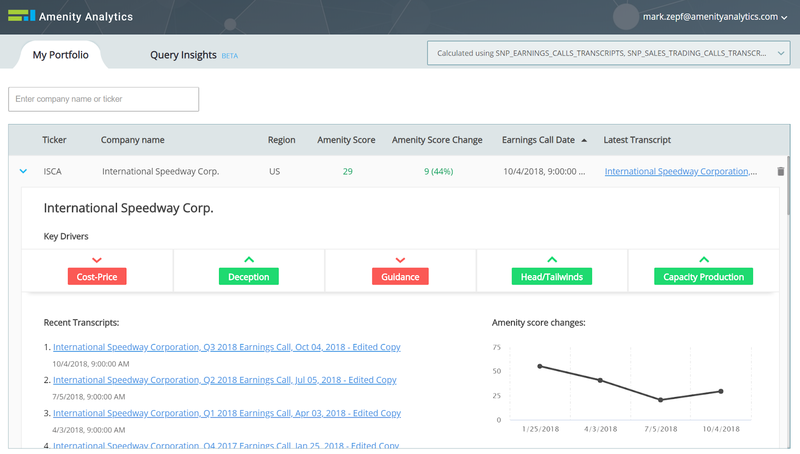 Join the Amenity Viewer Beta Program today to analyze upcoming earnings calls as well as identify trends and findings from the data. Transcript text provided by S&P Global Market Intelligence. Copyright ©2018. All rights reserved.